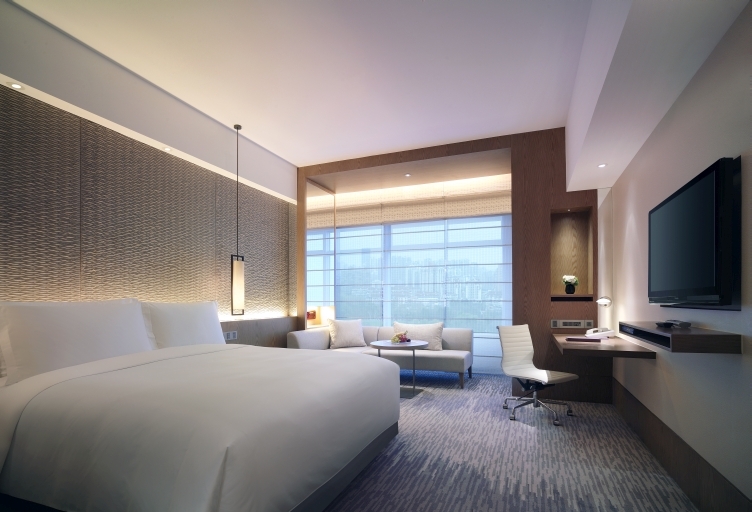 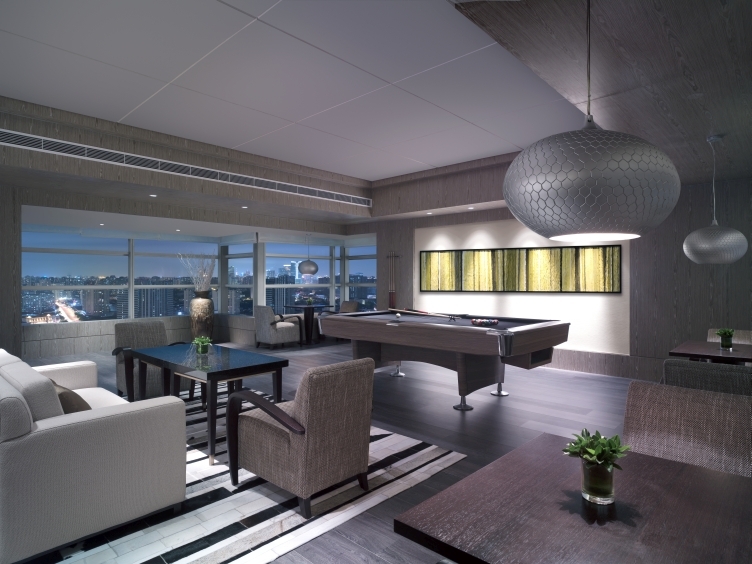 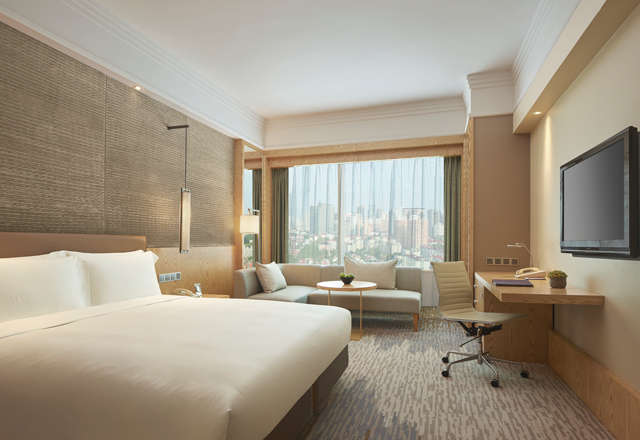 These luxury rooms at New World Shanghai Hotel offer privacy and special privileges. 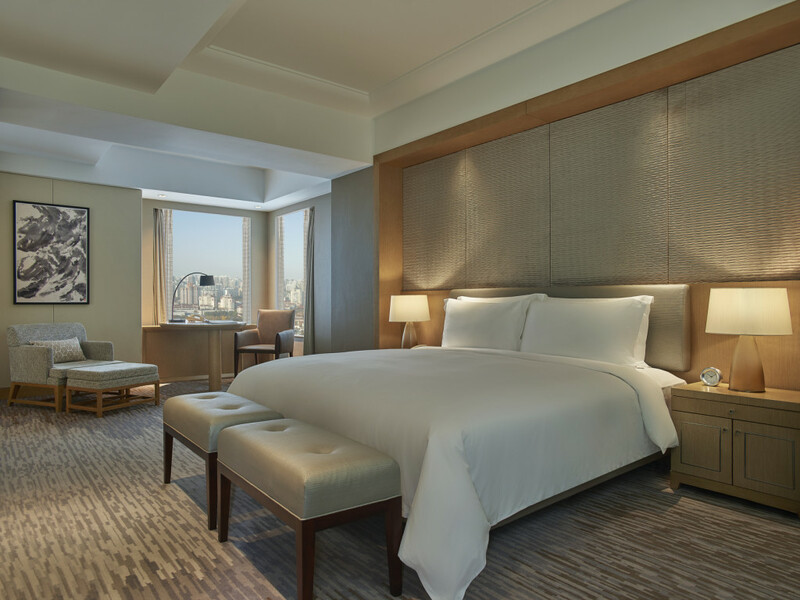 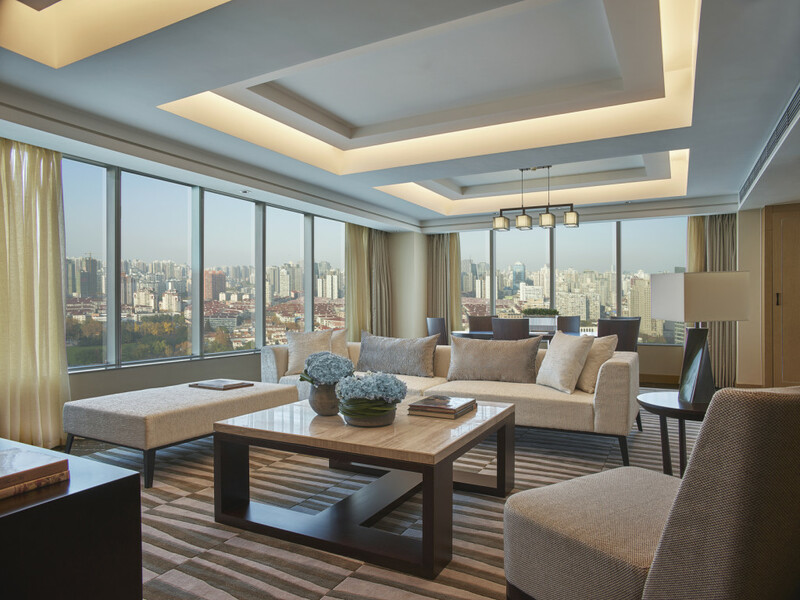 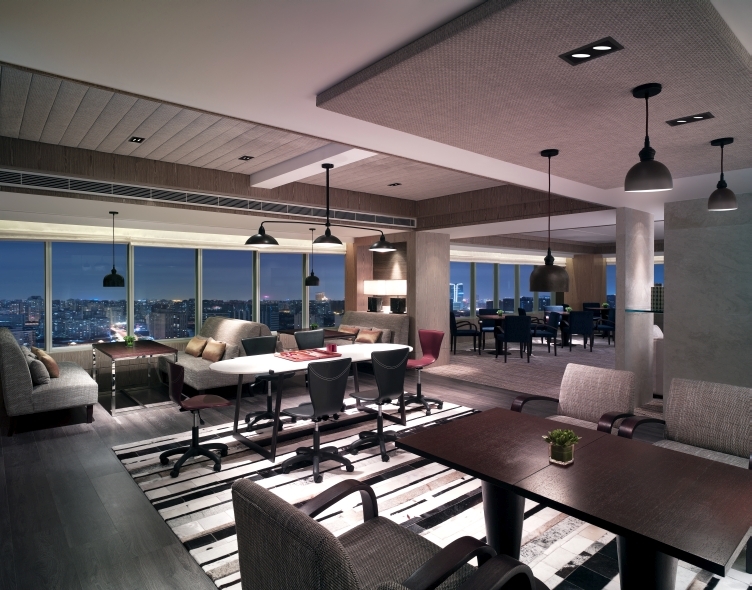 The recently renovated Residence Club Rooms feature high ceilings and lovely views of the city or Zhongshan Park that make the space seem even larger. 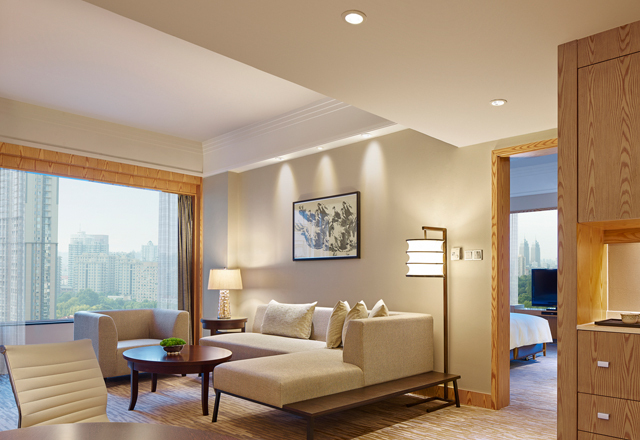 Monochrome photographs of historic Shanghai buildings, ink calligraphy artwork and traditional Chinese lattice carving in red lacquer create a modern blend of old and new that reflects the character of the city around you. 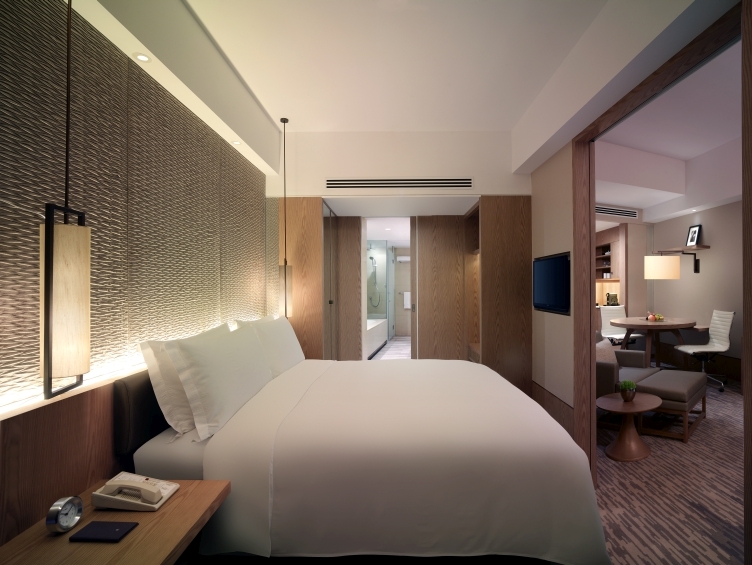 Creature comforts and modern efficiency are part of the design ethic. 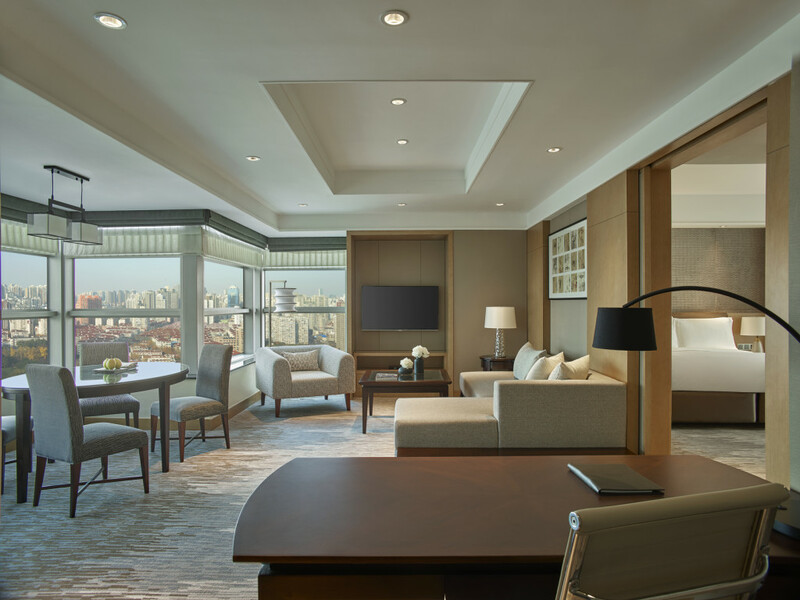 The minibar is conveniently positioned at eye levels, a cantilevered desk with extra side niches and open shelves above works well for business and personal correspondence, and a slide-over table by the large sofa is ideal for room service dining and laptop use. 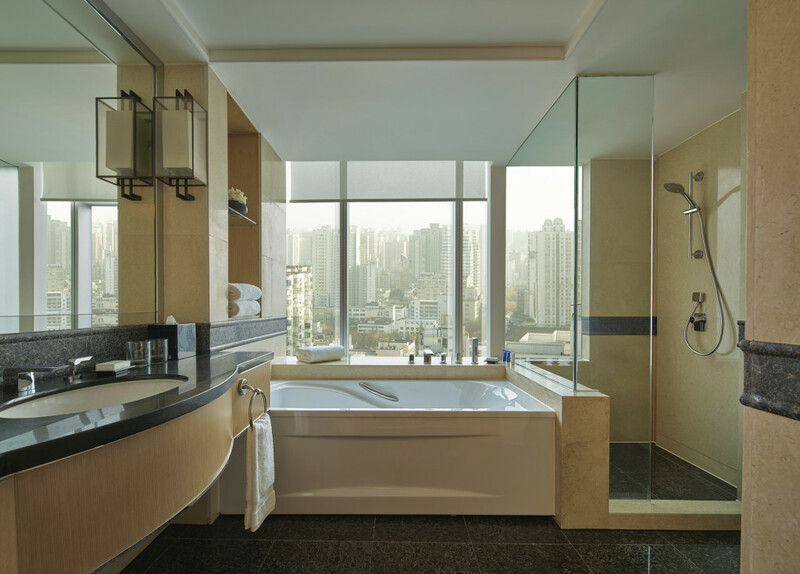 Innovative full-height sliding walls allow the bathroom to be completely open to the bedroom, enhancing the feeling of space, while a swinging frosted glass door into the shower and toilet cubicles ensures your privacy. 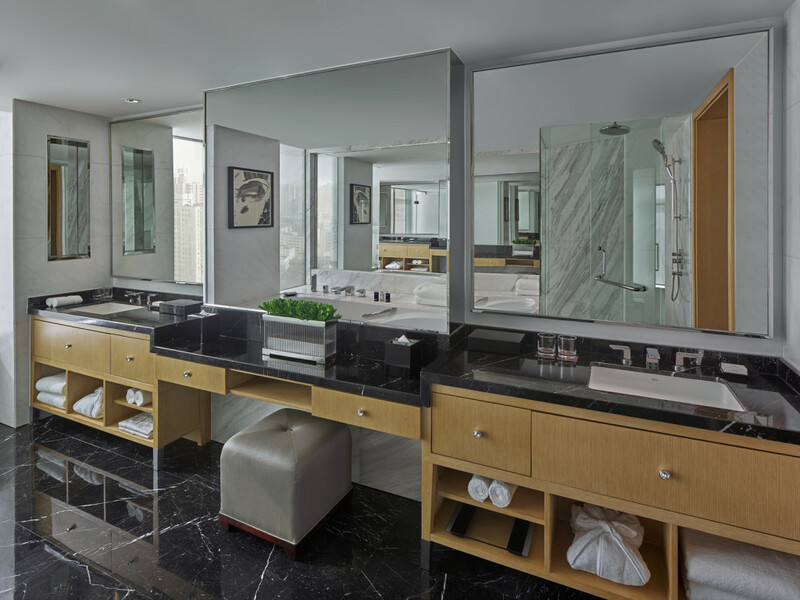 Sink into the large bathtub or meditate under the walk-in shower before you into bed with plump pillows and a goose-down duvet that make sleeping a dream.